Sandals that look like they should not be on your feet but that you actually went to great lengths to get them on there. Current vibe. I'm in to it. My new sandal this summer is the Naot Kayla, because I think I can wear them to the office with more aplomb than my old Tevas. Hello Jayne ! I'm a french girl who absolutely love your style and the atmosphere that emerge from you (via your blog and instagram) (I hope that doesn't sound too cheesy.. but I do not really know how to exprim that..) Anyway, I was wandering if you ever told about your tattoos, I like what I was able to see on your photos (position, minimalism..) Maybe, if it's not too personal, you could show them to us ? I also like the video of you during NY fashion week ! 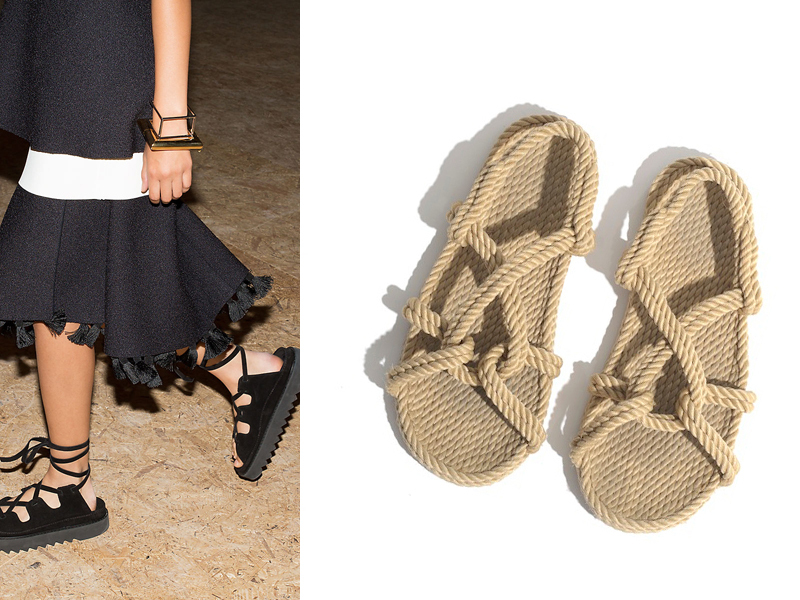 I love the Toteme sandals!!! Oh my God! I love a lot both of them. They are so cool! The right ones look exactely like the pair i got in france last summer! Your style is just precious.